The Northern California Camp Fire was the deadliest and most destructive wildfire in California’s history. It was also the deadliest wildfire in the United States since the Cloquet fire in 1918--as well as the sixth-deadliest U.S. wildfire overall. Although the rain has brought back our clean air, the Camp Fire brought the worst air quality ever recorded in San Francisco. Now is a perfect time to talk about how to prevent lung damage and keep your exposure to air pollutants low. It goes without saying that proper functioning of the lungs is vital for health. Atmospheric oxygen is produced only by plants. Our lungs take that oxygen and transfer it into the bloodstream and to each bodily cell. Only then are cells capable for cellular respiration--the process that keeps us alive every second of the day. The byproduct of cellular respiration is carbon dioxide. Our lungs expel carbon dioxide back into the atmosphere where plants use it for photosynthesis. When harmful substances enter the lungs, they can damage airways and threaten your lungs’ ability to work properly. Simply put, if the filters are damaged, they cannot do their job. This causes cells downstream to shift into a state of major distress. Respiratory diseases such as asthma, chronic obstructive pulmonary disease, and cancer can gradually develop. Pollution from industries, mines, and exhaust fumes can wreak havoc on your lungs. Limit your exposure to industrial and mining areas, if possible. With what happened to the Bay Area, sometimes you can’t limit exposure if you live in it. In these instances, check the air quality, especially on hot days, at www.airnow.gov. Consider wearing an air mask (N95 or N100) when outdoors for extended periods of time. You want a mask that filters out as much particulate matter (PM) as possible. Improve Indoor Air Quality → Keep Your Air Clean! Consider a high quality air purifier as they remove more PM. You will be exposed to less PM from events such as the Camp Fire. Be sure you’re keeping doors and windows sealed, and, wherever possible, use HEPA filters to purify the air that does get in. Additionally, house plants are natural air purifiers, so try to grow a few indoor plants, such as a spider plant, dracaena, peace lily, boston fern, bamboo plant, and aloe vera. Avoid using aerosol sprays or burning a wood fireplace. Ensure that your house has adequate ventilation, especially in winter when we tend to keep windows and doors closed to keep out the cold. Eating the right foods will keep your lungs healthy. Focus on eating mostly plant-based foods which are exposed to direct sunlight and grown just above the ground. They undergo a great deal of photosynthesis and hence, have a great deal of readily available oxygen. The best foods for optimal lung health include green veggies, broccoli, beans, ancient whole grains, plant-based oils (i.e. olive, avocado, coconut), spices (i.e. turmeric, black pepper), and fruit. These foods are rich in nutrients and antioxidants which are also necessary for proper quelling unavoidable oxidative damage. Shift away from items heavily exposed to pesticides. These items include dairy products, meats, fish, eggs, poultry, and GMO products (i.e., wheat, soy, corn, rice). The most commonly used pesticide in the U.S., Roundup, contains a dangerous carcinogen called glyphosate which binds aggressively to animal protein and GMO items. Cells are unable to easily metabolize glyphosate when bound to these items leaving the cells overwhelmed, and more vulnerable to diseases such as cancer, heart-lung-kidney disease, learning disorders (i.e., autism, ADD/ADHD, dyslexia), and mood disorders (i.e., anxiety, depression, bipolar disorder). Also avoid sugars, refined flour, processed, pre-packaged, and ready-made food, and non-organic items whenever possible since they create more inflammation. Vitamins are essential for the maintenance of good health, and Vitamin C, in particular, has been shown to increase lung health in a variety of clinical trials due to its antioxidant capacity. Vitamin C is found in a variety of fruits and vegetables, including oranges, mangoes, tomatoes, watermelon, pineapple, raspberries, leafy greens, and cruciferous vegetables like broccoli and cucumber. If you know air quality is going to be poor, consuming a supplement containing 3-5 grams of Vitamin C is not going to harm you. In fact, having more antioxidants like vitamin C to flood the vascular system is important to decrease free radical damage brought on by the events such as the Camp Fire. 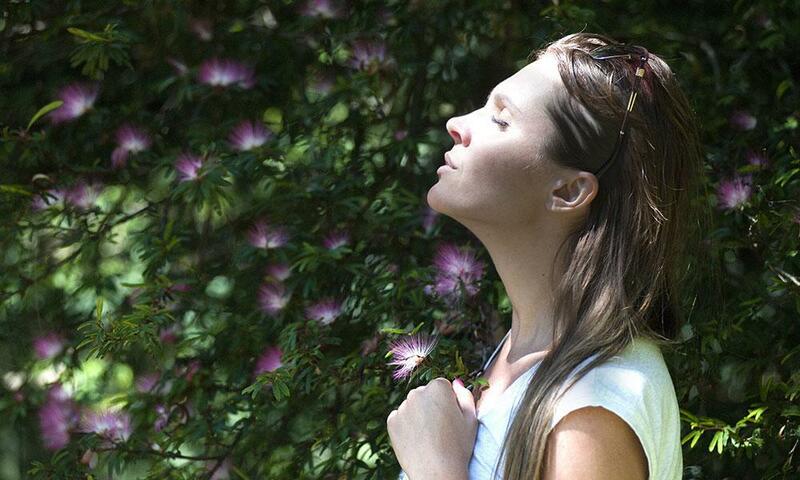 Deep, slow breathing strengthens the lungs and cleans out any toxins that have built. Do the following breathing exercises in the morning on an empty stomach (and in a quiet place): alternate nasal breathing for 3 minutes followed by mouth breathing for another 3 minutes followed by deep nasal breathing for 5 minutes. Repeat this exercise in the evening again on an empty stomach. You will then be able to become more aware of your breath throughout the day, and hence, better able to modulate engaging your diaphragm when breathing. Dr. Payal Bhandari, M.D., and Elaine Oyang, yoga therapist, at Advanced Health can help you learn how to do these breathing exercises effectively so you can make them a part of your daily routine. Play a wind instrument: To play these, you need to use your lung capacity completely. Sing every day: To be able to sing, your diaphragm needs to be engaged. Blow up a balloon: Blowing up a few balloons a day will strengthen your lungs and improve their ability to pump more air for longer. Engaging in physical activities increases lung capacity. Cardio exercises like swimming, walking, cycling, and dancing will strengthen the muscles around the lungs. Try to exercise at least 60 minutes per day five times per week. When air quality is poor, perform vigorous activities inside. Certain work environments are dangerous for your lungs. Working in construction, mining, hair and nail salons, or with fiberglass can cause you to inhale harmful particles, dust, gasses, paint fumes, and chemicals. Make sure you wear protective equipment when working in one of these industries, like a dust mask. Make sure there is also proper ventilation in these workspaces. Lung health should be assessed yearly. Many cleaning products contain harsh products like ammonia, bleach, and volatile organic compounds (VOCs). Furthermore, laundry products and air fresheners contain a host of synthetic fragrances--other problematic chemicals. Try to avoid these harsh cleaners and strong fragrances whenever possible. Chose to use safe cleaning products like baking soda, vinegar, and lemon juice. They clean as well as synthetic products and are safer for the environment. Ensure proper ventilation when cleaning. Our lungs are 90% water and require humid air to do their work properly. People often forget that water is lost during breathing, when the air is hot and dry, moist and cold. The more you breath, the more that is lost. Thus, drink 2 to 3 cups of warm water upon awakening. Repeat drinking warm liquids at specific intervals of the day, instead of sipping liquids all day long and while eating. I enjoy herbal teas, especially nettle, milk thistle, dandelion, mint, and ginger. It’s also a great idea to drink broths or soups made from foods rich in antioxidants. Antioxidant-rich foods include cruciferous vegetables like broccoli, brussels sprouts, kale, and cauliflower. Make sure your food is naturally rich in water so that it can be easily digested and readily absorbed. Do not drink liquids while eating since digestive enzymes will become diluted and prevent food from being more effectively broken down. Dehydrating beverages such as alcohol, fruit juices, soda, caffeinated, carbonated, and/or cold beverages should be avoided. If you must have a dehydrating drink, wait at least 2 hours after a meal to consume. Your sinuses trap pollutants from the atmosphere as you breathe. That’s usually a good thing, but as those pollutants gradually accumulate in mucus, anything from normal respiration to a post-nasal drip can bring those same particles straight into your lungs where they can do significantly more harm. In that case, it’s time for a pressure wash. Using a neti pot to regularly rinse out your sinuses gets rid of those pollutants and prevents them from making their way to your lungs. Ginger is a very strong detoxifier, and it’s especially good for lung health. As well as a systemic detoxifier, ginger root improves circulation to your lungs and decreases inflammation. Thus, ginger offers a one-two punch: It makes your lungs more efficient and decreases overall strain on them. During poor air quality days, it’s critical to spend as little time outdoors as possible. As much as you can, do not linger in the outside air, and especially avoid any strenuous activity, like exercise, as this will dramatically increase the amount of pollutants you respirate. If you do wear a mask, like an N95 or an N100, be sure that it’s well-fitting and that you’re using it exactly as instructed by the manufacturer. They need to be replaced after shorter periods of time than other pricer air mask filters. Once you’re home for the day, remove your shoes and change into a fresh set of clothes. All that smoke will outgas from the fabric, so launder your clothes even more often than usual, and certainly don’t wear them around the house. When it comes to purifying the air around your home or office to promote lung health, the best essential oils are peppermint, eucalyptus, thyme, lavender, tea tree, and lemon. These will help to make the air around you much more breathable, and will help to keep your lungs healthy. When we laugh, our abdominal muscles get a workout and our lung capacity increases. Laughter also clears the lungs by forcing out stale and toxic air, allowing fresh air and more oxygen to enter. Make sure you get your daily comedy time! Every day we can do our part by not adding to the pollution burden. You can do this by walking instead of driving, avoiding burning things like wood or trash, using less electricity, and supporting suppliers that use clean energy and ingredients that are safe for the environment. It can be easy and even fun to keep your lungs clean and strong, especially when incorporating laughter into your daily routine. If you struggle with any lung conditions or need advice on implementing our healthy lung tips, contact Dr. Payal Bhandari, M.D., at SF Advanced Health.